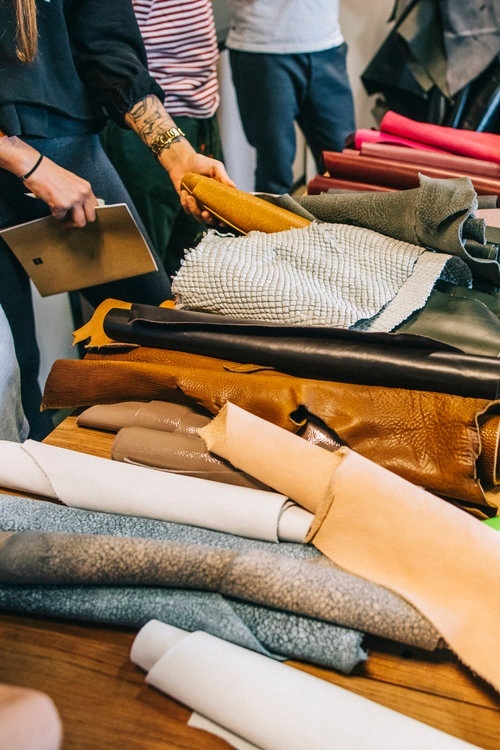 Tapping into the footwear craze of the past decade, Dominic Chambrone's Shoe Surgeon School has emerged as one of the most popular and influential leather craft schools internationally. The school is an event-based course that gives learners a chance to get hands-on lessons for working with and crafting shoes. As noted on their “About Us” page, the core values of the school are self-expression, empowerment and community. Through the classes at The Shoe Surgeon School, you can learn how to establish and express your artistic vision while participating in a communal event where you can inspire and be inspired by others. Deconstruction. Teaches how to take shoes apart so that repairs and improvements can be made without ruining the footwear in the process. Cutting. Demonstrates proper technique for cutting leather and fabric. Skills taught include controlling the direction of a cut and how to position leather to ensure consistent, smooth cuts. Patterning. Learn to recreate shoe patterns that mix modern and classical shoemaking techniques using both fabric and leather materials. Sewing. Teaches proper sewing techniques required to make sturdy, high-quality shoes. Includes lessons in the use of industrial-grade sewing machines and sewing safety tips. Throughout the class, both teachers and previous class alumni will provide support to make sure that each student understands and can reliably use the knowledge being imparted. By the end of the class, each student should have a pair of usable shoes that they can take home. One of the most fun features of the school is the the student lab. The student lab is a program where The Shoe Surgeon releases all of the students' finished shoes to the public. The public then votes for their favorite shoe, The Shoe Surgeon perfects the design and produces it as a release so anyone can purchase a pair. The winning student also gets a portion of the proceeds for their first official collaboration. Where and When Can I Attend? The class is held roughly once a month at various events around the country, typically 3-day courses costing around $3,000. At the time of this writing, the most recent classes were in Los Angeles and New York City. If you don’t see a location near you in their list of upcoming classes, you can put in a request on their website—simply provide you name, email address, and preferred city on their website’s main page. If you need to sharpen your shoe-making skills, or just want to learn the craft and walk away with your very own pair of handmade kicks, sign up for a class at The Shoe Surgeon School today! Want to learn more about using exotic leather in your shoes? Contact Pan Am Leathers or check out our footwear guide!